If you're a new producer Stage One can provide financial and practical assistance to help get your first productions up and running, and to support your overall development as a commercial theatre producer. We understand that mounting your first production can be an intimidating experience, and aim to make the process accessible to passionate and dedicated new producers who otherwise would not have the resources to do so. We support producers from all areas of the UK including those embarking on regional tours. Bursary applications for Spring 2019 are now closed. Applicatiosn for the Autumn round open in July. Mentoring – An experienced producer or general manager will be appointed by the Bursary Panel as a mentor for the duration of the bursary. The mentor will be available for reasonable consultation, tracking progress, approve all costs and expenses claimed and report back to the panel at the end of the bursary. Office Space – A shared office space in London is also available for periods offered and agreed by Stage One. Applicants should state on their application form whether this would be of interest and benefit. The New Producers Hub is in a central London location and is generously supported by Shaftesbury PLC. The Bursaries are intended for individuals who have some experience of theatre producing and have a firm commitment to pursue it as a career. It is essential that Applicants show how a bursary award would develop their producing career and at what stage their production/s are in development. The project/s must be related to live performance but applications are considered for a variety of activities (e.g workshops, try-out, development, research). Stage One is endeavouring to develop and support the next generation of commercial theatre producers and therefore may give preference to applications which have more than one project in development. Applicants should have ideally (but not essentially) attended the Stage One workshop held annually. The Bursary is separate to the Stage One investment scheme in which investments are made in productions on a commercial basis. After receiving a Stage One New Producers Bursary, many doors have been opened and I’ve been unafraid to ask questions, meet producers and build collaborative relationships. To apply for a bursary, you'll need to become a Stage One member. Becoming a member offers you opportunties and resources, as well as allowing you to build your own Producer profile. It's completely free to sign up, so what are you waiting for! My production is in a venue in which the number of seats means that production cannot make a profit, can I still apply?  Stage One is looking to support the commercial theatre producers of tomorrow and as long as we see evidence of your commercial understanding and potential you should still apply. How does the mentoring scheme work? If you are awarded a Bursary, Stage One will talk to you about your current strengths and weaknesses and with your input, will match you with an appropriate mentor. Your mentor is then on hand to give advice via meetings, email and over the phone for the duration of your project and/or Bursary period. I don’t have a rights agreement, can I still apply? If you don’t have the rights to some or all of your productions Stage One will expect that you have already approached the rights holder and began negotiations. We may ask for evidence of this in the form of a letter or email. I am a director/writer/actor, can I apply for funding? Stage One's mission is to develop the careers of producers and not simply to fund productions. We will consider applications from new producers who have also been directors/writers/actors but the bursary must propel your career in producing. We strongly recommend that producers do not direct or act in their own productions. I don’t have a venue agreed, can I still apply? We like to see evidence that as a producer you have the skills to develop a project/s to a certain point before coming to Stage One for support. The bursary is there to help and support your ambitions, not to ensure that a project comes to fruition. If you have several in mind we suggest that you submit a budget based on one of these venues. I have a script, marketing materials, promotional material and/or videos I would like to submit with my application, how do I do this? If you are selected for interview you may bring additional materials with you to show the panel but please do not submit them in the first instance. The interview will be around 20 minutes and you will be expected to answer questions about you as a producer and your projects. If i am invited to interview, when will i hear the result? The Bursary panel usually make a decision on the day of the interview and you will be informed within 24 hours.